Consider Sweet Remembrances in Mechanicsburg for your next gathering. At Sweet Remembrances we care about the many special occasions in your life. Let us help you celebrate! With a minimum seating of 15 and a maximum capacity of 30, celebrate your special occasion in an intimate home-like atmosphere. 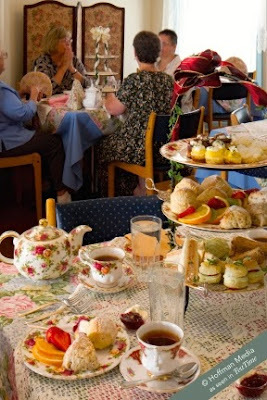 Choose from our Afternoon Tea or Luncheon menu options. These menus may be served at any time of the day. All meals are homemade, prepared fresh, using the finest ingredients available and served with pride. If desired, you may provide wine to help celebrate your special event. Private parties can be scheduled throughout the year, however, we suggest you reserve early as private event availability is limited. Sweet Remembrances will grow from them."